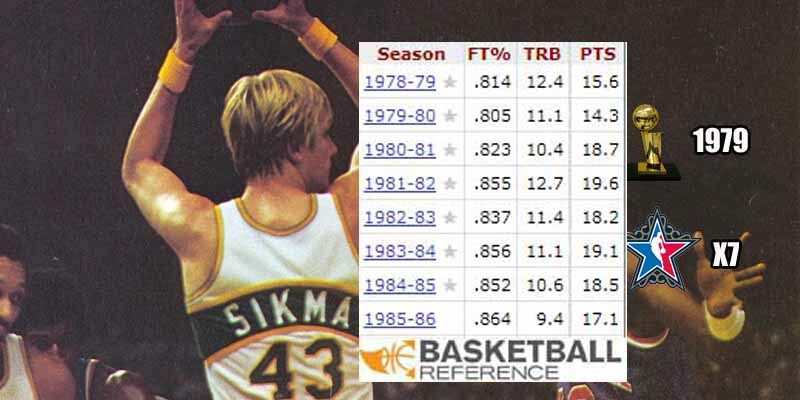 Jack Sikma is considered by many to be one of the biggest Hall of Fame snubs and rightfully so. The 7-time All-Star averaged a double double in 7 of his 9 seasons with the Seattle Supersonics (and OKC Thunder by extension) and was pretty reliable at the free throw line with a career 85 FT%. He was a key contributor to taking the team to the NBA Finals in his rookie year (1978) and stretching the series against the Bullets (now Wizards) to 7 games. As a sophomore, he upped his game and helped lead Seattle to its only championship, taking revenge on the Bullets 4 games to 1.